Digital or Computer forensics (sometimes known as computer forensic science) is a branch of Digital Forensic Science pertaining to legal evidence found in computers and digital storage media. The goal of computer forensics is to analyse digital media in a forensically sound manner with the aim of identifying, preserving, recovering, analysing and presenting facts and opinions about the information. Forensic Computing is the collection, preservation, analysis, and presentation of computer-based evidence. eDisclosure is becoming more and more prevalent as computers, seized by the prosecution, contain documents and email that can sometimes run to the millions for a single case. 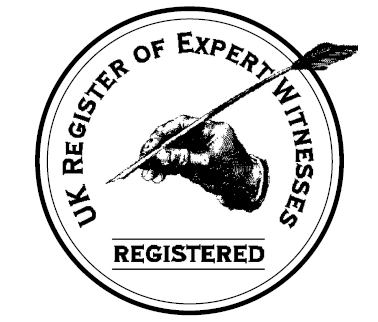 Evidence Matters Ltd., is able to assist you with ensuring that eDisclosure is conducted correctly by the prosecution, assist with verifying the data has been handled and presented correctly, and allowing you to de-duplicate and search the documents and emails effectively and efficiently using our bespoke service hosted on our secure servers. We can provide full cell site analysis reports using our bespoke ‘Petri’ software and specialist equipment. Using call and data records from the service provider we can identify the location and movement of a mobile telephone/iPad/tablet retrospectively over a specified period. Whilst cell site analysis cannot provide ‘X marks the spot’, our physical analysis of both ‘best’ and ‘available’ cells will provide you with the true geographical area that the device could have been in at the given time. prosecution, private, family and civil instructions. Established in 1996, we are one of the oldest dedicated digital forensics firms in the UK and have a solid track record in providing fixed-cost solutions. 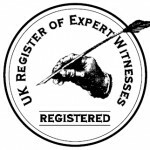 As Digital Forensics Expert Witnesses , we conduct forensic analysis of computers, mobile phones, tablets and Satnav devices along with cell site analysis, CCTV forensics, computer monitoring, website capture, investigation and eDiscovery. You will find us to be an approachable and friendly firm – we specialise in preparing reports in plain, jargon-free English – if you have any questions, all you have to do is ask. Evidence Matters Ltd has not currently applied for ISO 17025 compliance but adopts procedures that honour the ethics of ISO 17025 compliancy.